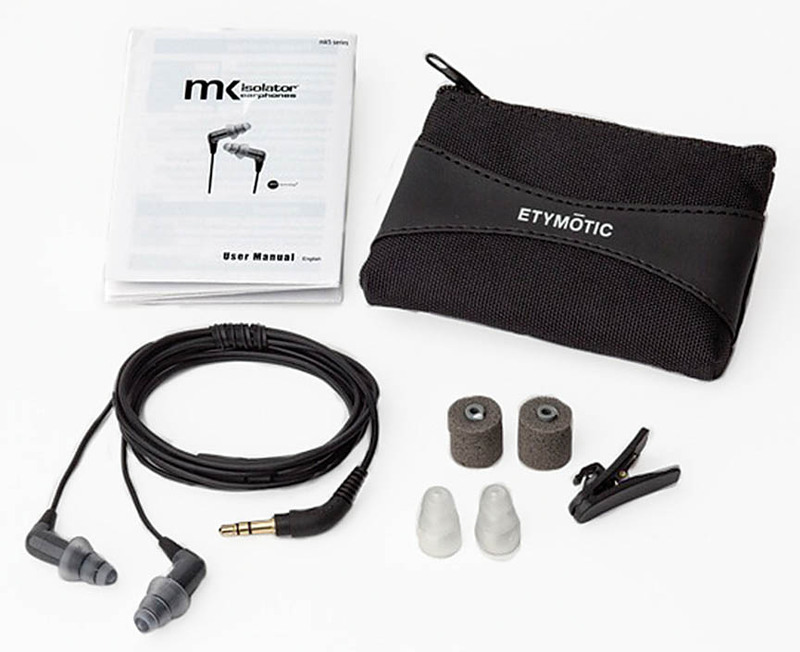 mk5 isolator earphones are the newest addition to Etymotic's high-fidelity Isolator earphone series. Like other members of the Isolator series; the mk5 matches the ear's response for natural sound reproduction over a broad frequency range. 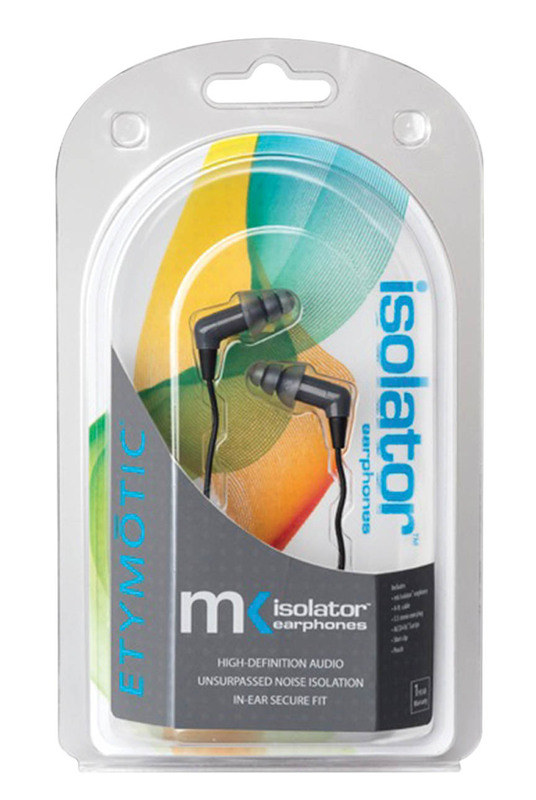 In addition to awesome sound; Isolator earphones promote hearing safety. Their sound-blocking capabilities reduce the impulse to turn up the volume in order to drown out unwanted noise from the outside world. Quiet passages and soft dynamics come through clearly; and loud passages don't hammer your eardrums. These low-profile; in-ear earphones fit comfortably with hats and helmets. Ideal for commuting; travel and sports activities. Features 98% (35-42 dB) noise isolation; 6-mm drivers with Accu•Chamber Technology with high-gloss finish.